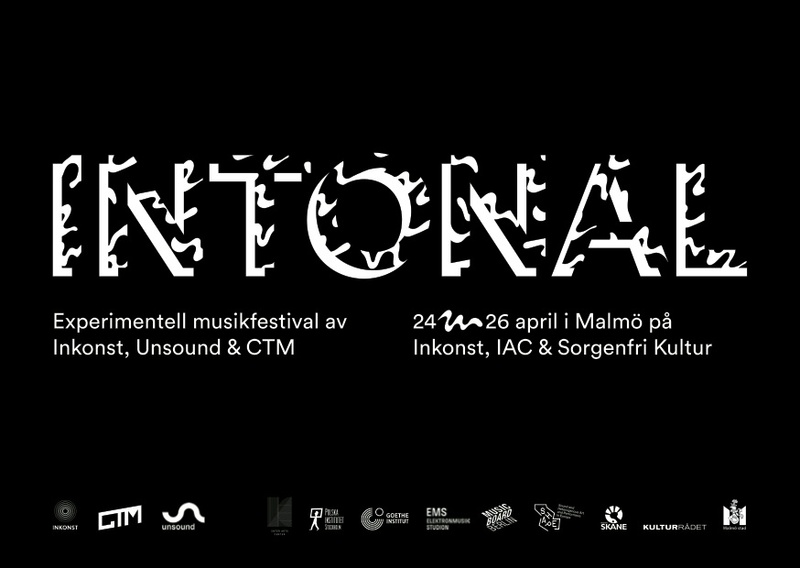 Inkonst will pull out all the stops during the last weekend of April, bringing CTM (Berlin) and Unsound (Krakow), the international giants for experimental music and art, to Malmö for a royal festival. Legendary Elektronmusikstudion (EMS) in Stockholm and Malmö’s own Inter Arts Center will also play important parts in making this a grand celebration of sound, light and art. The individual pieces of the festival program are beginning to fall in to place and we can promise a world class line up, from abstract experiments in sound to new and inspiring dance music. During the course of the weekend, we will also work together with Sorgenfri Kultur where the festival’s nightly activities will take place. Please note that these after hours sessions will be limited to guests with Festival passes only. The Intontal festival is a collaboration between Inkonst, CTM, Unsound, EMS, IAC, Goethe-Institut and the Polish Institute. This project is realised with the gracious support of Kulturrådet, Kultur Skåne, Malmö Stad, Goethe-Institut and Polska Institutet.